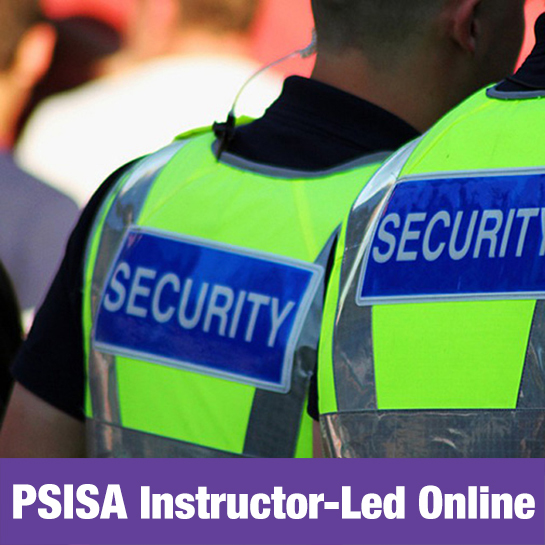 An online version of the Ministry of Community Safety and Correctional Services, Private Security and Investigative Services Act 40 Hour Security Guard course. Allows registered learners to complete required training at any time, from anywhere, at their own pace. PLEASE select the following link to purchase the course from securityguardtrainingontario.com. Thank you for your time. The Infinity Human Resource Group Inc. (Infinity) online Ontario Security Guard course consists of 13 modules as per the Ministry of Community Safety and Correctional Services syllabus. The course also has a number of assignments, practice examinations, as well as a mandatory, live online conference. Course instructors have extensive law enforcement backgrounds and provide support through the Infinity Learning Management System (LMS) and e-mail. This course is instructor lead and covers all areas of the current curriculum EXCEPT FOR FIRST AID. The course can be accessed at anytime from a desktop, laptop, or tablet device. Each course module features an easy to use interface that allows students to quickly navigate the modules and focus on the course material. Upon completion of all modules and assignments, you will be able to complete a practice true/false, multiple choice examination up to three times. Once the course is completed, you will be required to download and then submit your certificate of completion to WPSL Security Solutions in order to obtain your security training number. Once you have obtained your security training number you will be responsible for contacting Serco and booking your test. Testing locations are available on the Serco website. You will receive your username and password upon completion of payment through PayPal, Credit Card, or e-Transfer. When you do you will be able to log into the site at https://learn.infinitygroup.ca/login/index.php. Please ensure you review the first log in video at https://www.infinitygroup.ca/courses/psisa_security_guard_firstlogin/. Upon logging in you will have to enter your name as well as a valid e-mail address to complete your registration. Each student must complete their Emergency First Aid with a recognized provider if they do not currently have their certification. There are no refunds on this course.